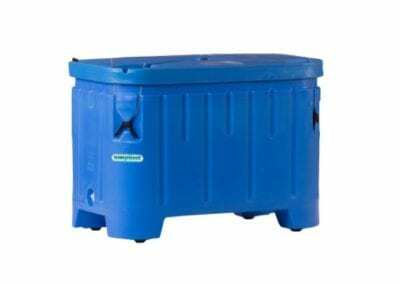 Made of high density polyethylene, non toxic, odorless and hygienic material preventing formation of bacteria. 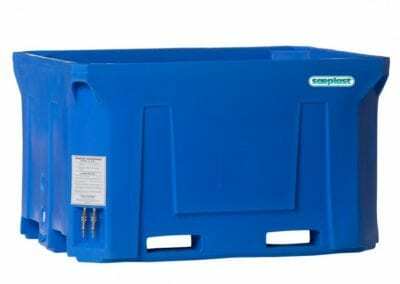 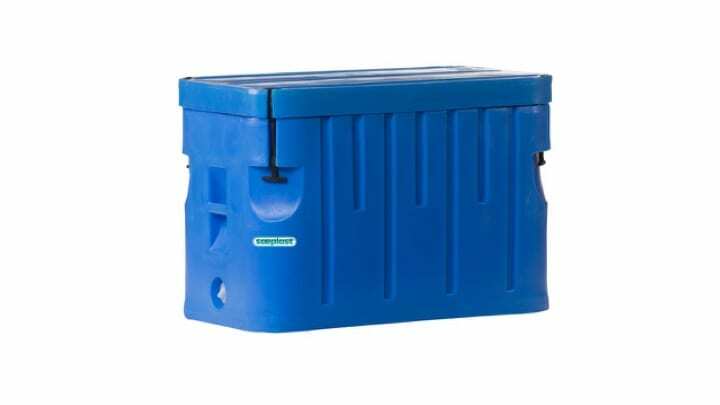 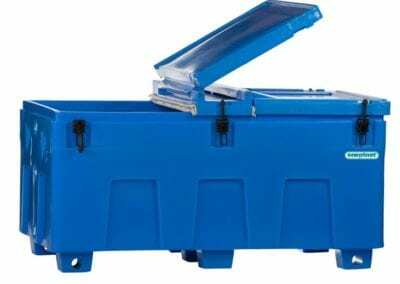 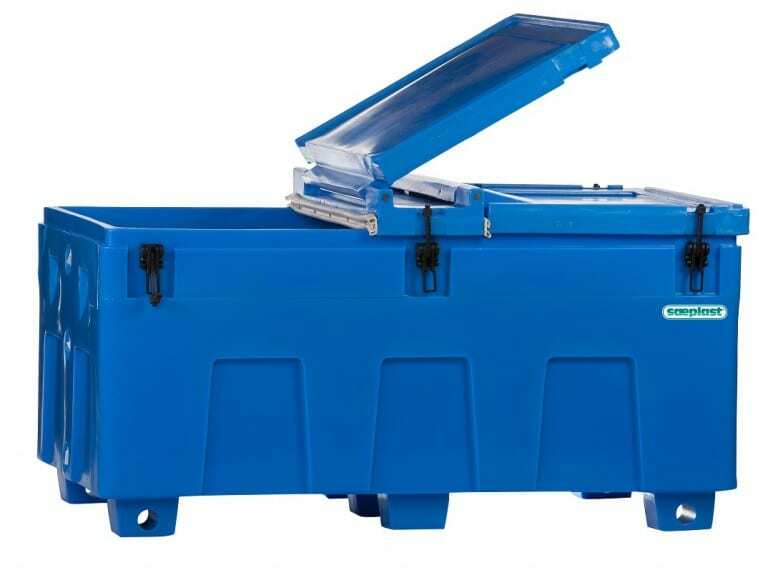 The stackable lids are designed to drain off any residual water, to make possible the stacking of totes, and to preserve the freshness and taste of the fish. 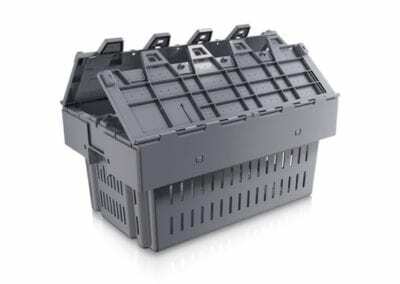 Easily cleaned simply by hosing or steaming. 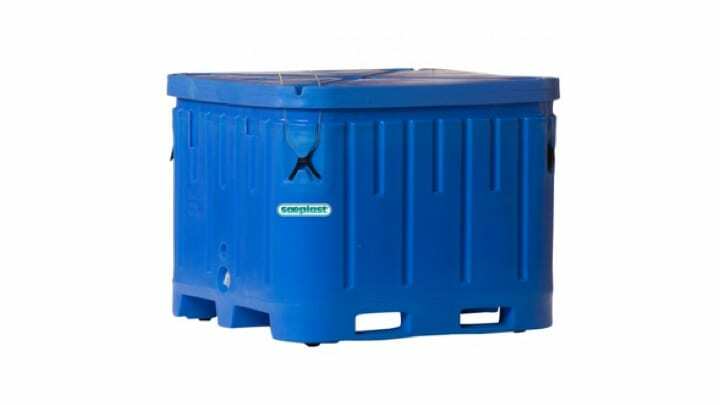 Highly resistant to chemical corrosion and sea salt. 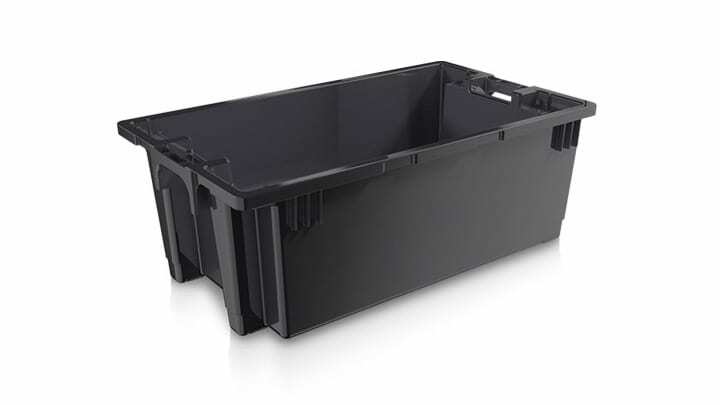 Light weight but sturdy and safe, they can be handled securely because of their reinforced handles. 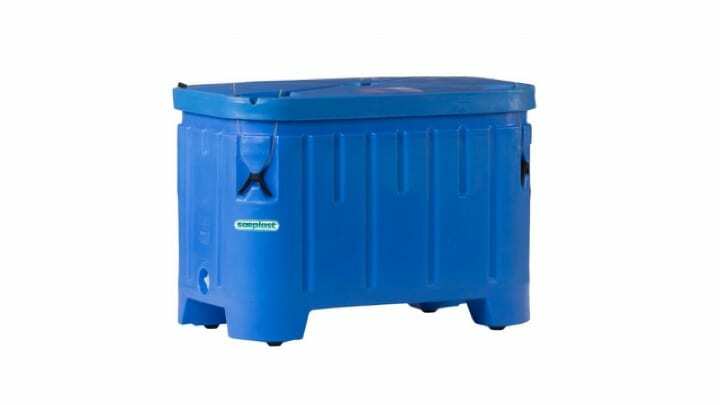 Meets USDC and FDA standards. 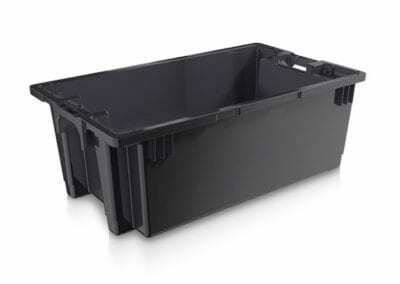 Insulated plastic containers are strong, long-lasting and easy to handle. 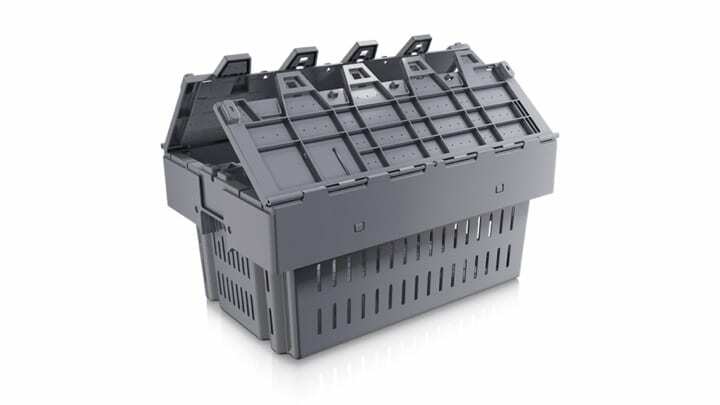 It is particularly well suited for handling of fresh seafood in processing. 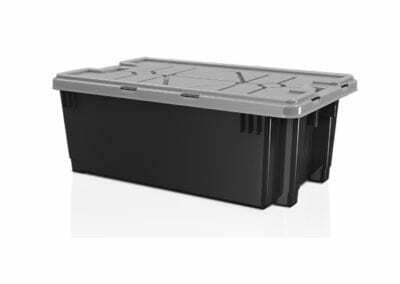 The insulated plastic containers are double-walled with a PUR core and a high insulation factor. 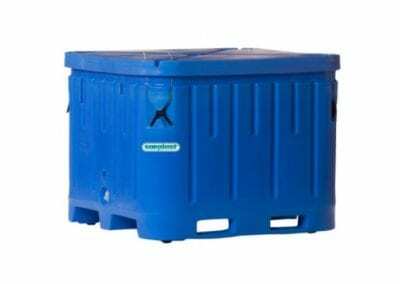 It is commonly used for transporting scallops, shrimp, herring and many other species. 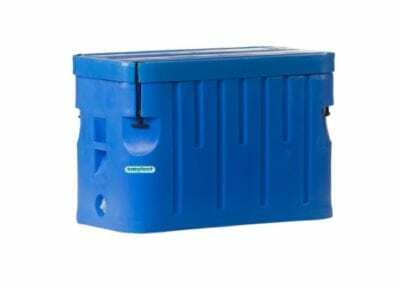 It is also good for storing lobster bait in long-term storage. 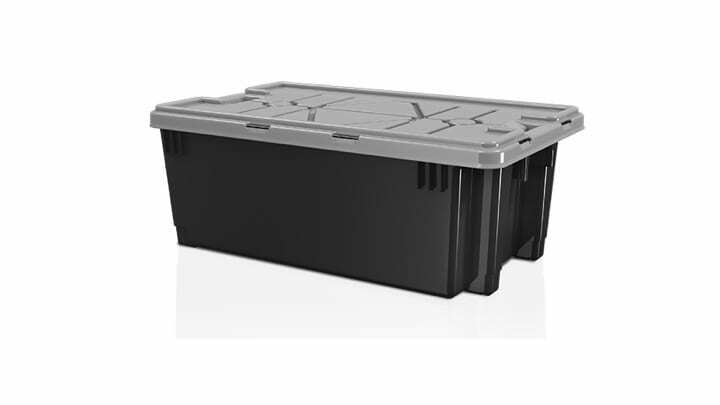 The containers are easy to maneuver and are accessible for both forklift and pallet jack.